This is such a great ending to a fabulous series. 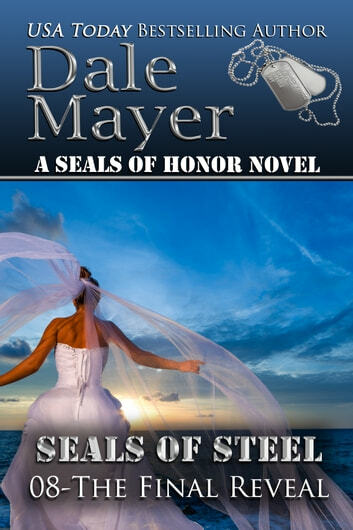 We are able to get to know each member of this SEAL team and their significant others throughout the series. I love how creative they all are in their military experiences as well as at home in their personal lives. They each are unique and special. I especially love Kat for being the one to bring all of these men a wholesomeness to their bodies as well as their mental healing. She is also behind this whole scheme to finally unite the couples in this group with the ultimate surprise. This author has the best imagination to create such intriguing stories. I read this book in just a few hours and was so excited to finally get to this segment of the series. This story satisfies and wraps up all of the stories to a lovely conclusion but leaves a tiny window open for a future something! Enjoyed every bit of it, excellent job! I loved it! This was a delightful way to wrap up this wonderful series. Having a surprise within a surprise was a very sweet twist. As you read you will delight in how the men interact together as they plan not only their future but also what they believe to be the surprise. You will share the anxiety and hopefulness of the women as they plan what is to be the true surprise to show their “men of steel” how much they love them and are ready to commit to them for life. Of course, the twist at the end will please everyone who has been a long-time fan of this author. I highly recommend this very enjoyable and entertaining finale to this amazing series. 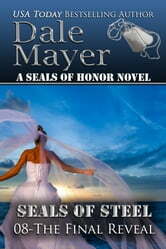 This is book 8 in the final book in the SEALs of Steel series. This story involves all seven SEALs and their girlfriends but spends more time with Badger and Kat. WOW! All the planning and emotional stress is incredible. I can only imagine how Kat felt. These men have all been medically discharged from the service and are a close knit family. I love how they want to live within walking distance from each other. They’re only trying to decide what to do with the rest of their lives. Leave it to the women to take charge and alter the course of all their lives forever. I love it! I only wish we could have seen each of their reactions to the big reveal. This is a fantastic end to an equally fantastic series. BRAVO! I look forward to reading whatever this author brings us next. Lighthearted and fun - a great ending to a great series.